You’re pooling together guests from across the country for your wedding day. They are all important to you and your groom. However, you have to select only a few from a long list of friends and relatives to include in your bridal entourage. Choosing who goes into your entourage list can be a stressful activity. To help you out, refer to these key pointers when you start the selection process. These two people in your entourage are very important because they will be assisting you and your groom during the ceremony. Given that, pick those who can be entrusted with responsibilities and can stay calm even when under stress. Normally, these two are best friends of the bride and groom or if not, their very close relatives. By tradition, both are in charge of the bridal shower and the bachelor party. For your flower girl/s and ring, coin, and bible bearers, it’s ideal to choose those who are at least 4 years old. Choose a niece, nephew, or a friend’s child who could do the processional march with less assistance. Check with your church if they allow children below 4 years old to be included in your entourage, in the case the kids you plan to assign those roles to are younger. In some weddings, the Best Man, another male friend, or a relative is assigned to carry the bible during the processional march. If no kids are available to take the role of ring, coin, and bible bearer, it’s an option to assign it to a grown-up, too. It can’t be avoided that you get suggestions from your respective parents especially when it comes to selecting godparents. Of course, you want to say yes to your mom’s request of assigning her friend as your godparent. But at the end of the day, you want to look back at your wedding and say, “We chose these people because they are all special to us.” Choose people whom you and your fiancé have special bonds with. Your godparents must be able to support your marriage and give you some advice if you need one. While friends and relatives rarely turn down an invitation to be part of one’s entourage, it is nice to let them know as soon as you and your fiancé have decided to include them on your list. It's especially important if you're having a destination wedding or if whoever you're asking needs to travel far to get to the wedding venue. As a courtesy, telling them personally is preferable. If you are based outside the country, a personal chat over Skype or a phone call may be an alternative. 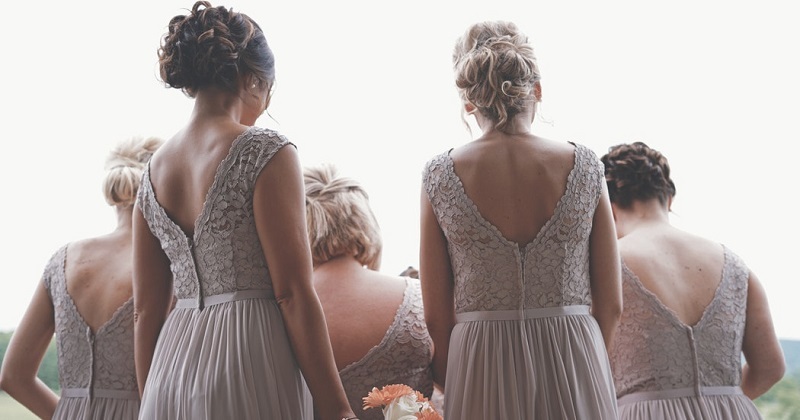 Have you finalized your wedding entourage already? Try doing a prenup shoot with them before the ceremony for some extra fun! For other wedding tips, visit BG Bridal Gallery.